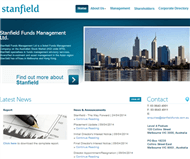 Stanfield Funds Management Ltd executed a Share Purchase Agreement on 15th November 2015 for the acquisition of 100% of the issued share capital of Swift Networks Pty Ltd and Wizzie Pty Ltd. 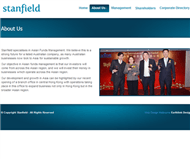 Swift Networks is a Digital Entertainment System business providing fully integrated solutions for the Resource, Hotel, Lifestyle Village and Aged Care sectors. Such solutions include Free to Air TV, Pay TV, Telephony, Internet and Data and Wireless Networks. Wizzie TV is a provider of streaming content from some of the largest Hollywood studios and currently provides this content to Swift Networks’ clients. Being one of the largest provider in Australia in this sector, this feature-rich technology solution has now been welcomed within the Hotel, Lifestyle Village and other sectors to enhance guests’ stay and experience. Wizzie TV is a complimentary service to Swift Networks providing Pay TV live streamed channels. Wizzie TV sources television content via satellite from across the world and has a geographical distribution capability to most parts of the Asia Pacific region that allows opportunity for continued subscriber and geographical expansion. 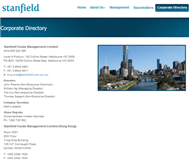 The General Overview, Services, Products and Projects information for this profile was last edited on 21 Apr 2015.